Your company’s social interactions are an invaluable source of intelligence, recurring revenue, partner possibilities and new production. 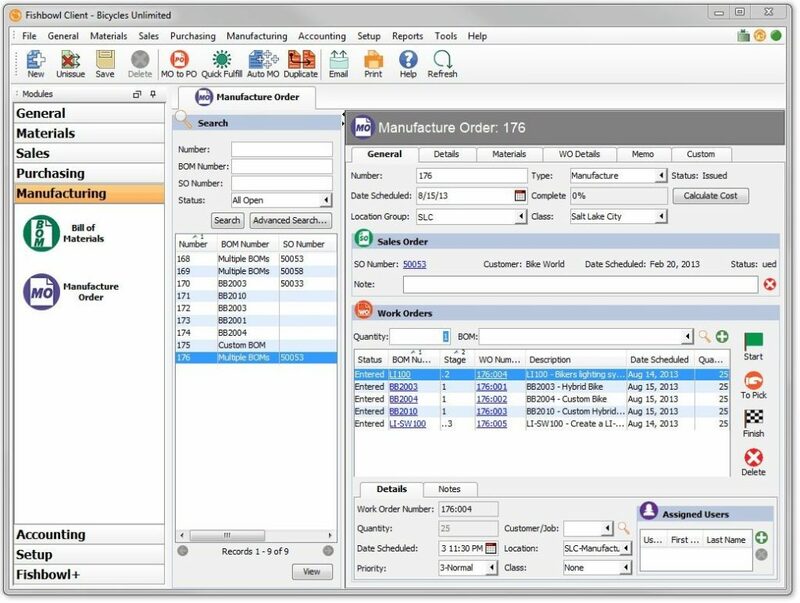 We provide a quick overview of leading manufacturing resource planning software (MRP) solutions and some suggestions to help select the suitable solution for growing your business. Dolibarr ERP & CRM is advertised as a modern and easy to use software package to manage your small business. 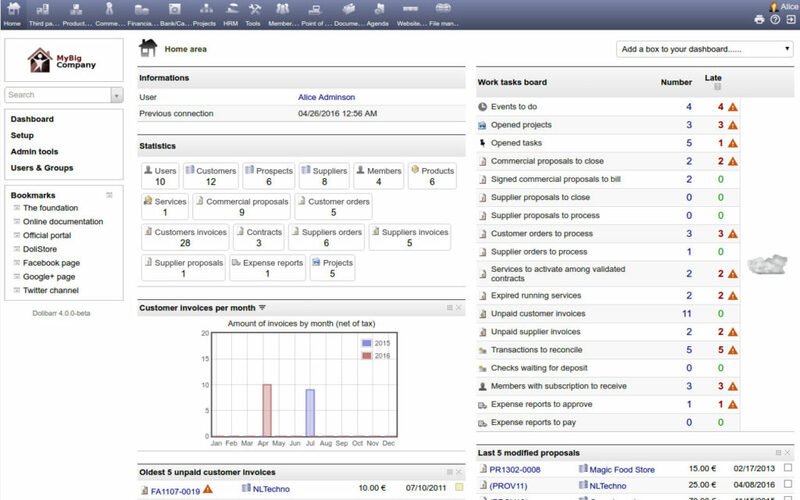 It manages customers, invoices, orders, products, stocks, agenda, e-mails, shipments, etc. You are able to setup the application to match whatever you need (sales, human resources, logistics, stock, invoicing, accounting, manufacturing, etc.). Dolibarr is a unique entry, because it is the only software on this list that is free. The provider of the software is the Dolibarr Foundation, created in France in 2009, with the aim to provide open source and free ERP software. So, while this software could be interesting for learning, you should understand the risks if you use it for your business operations. 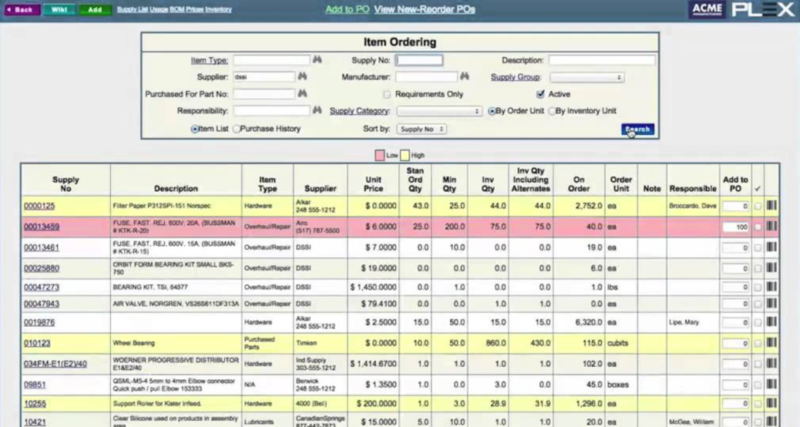 Fishbowl is mainly known for its powerful inventory/warehouse management solution. Now, they also offer manufacturing functionality with traditional MRP features, like production planning and control, managing job/shop floor workers, bills-of-material and more. Xero, or QuickBooks, which can be easily integrated, handles accounting – no internal accounting functionality is included. Interface is intuitive and should get you started without issues. Also worth mentioning is that Fishbowl offers trainings as well as good customer support. Fishbowl Manufacturing is on-premises software, which means that you must have your own server infrastructure to host it and your own server administration staff (or outsourced partner). The price per user starts from $4395, which is a reasonable price among on-premises manufacturing software solutions. You can try the software for free during a 14-day trial period. 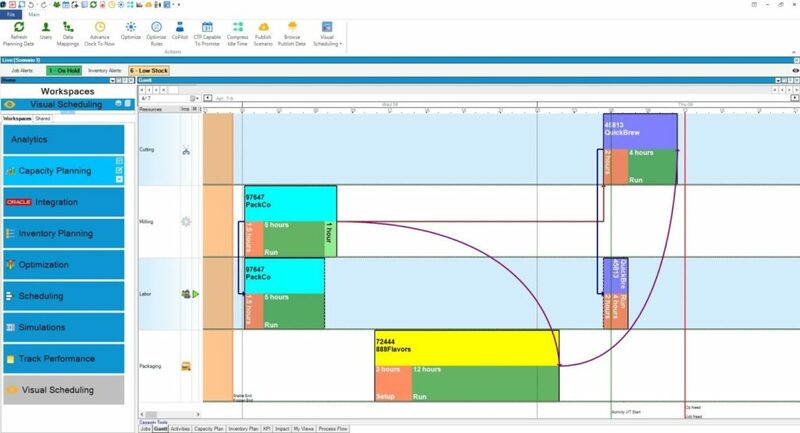 PlanetTogether is on-premises manufacturing software with some functionality available in the Cloud, which offers a more powerful toolset for companies that are looking for more than standard functionality of planning, scheduling, inventory and orders. PlanetTogether is one of the very few MRP systems that can integrate with SAP, Microsoft Dynamics, Oracle and other ERP systems. The price tag for PlanetTogether starts at $1500/month, but you can also get a free trial access to evaluate the software and see if it fits your needs. If you are not new to MRP systems, then PlanetTogether is definitely worth a try. Plex is the most advanced solution in this batch of top 5 manufacturing production software, which also means that if you are new to MRP systems, it might not be the best decision to go with Plex at this stage. However, for more experienced users, Plex can be a magic bullet. Plex allows for easy and automatic collection and full integration of job floor data, such as production scheduling, real-time inventory control, tool tracking, production tracking and part genealogy. This is a true Cloud ERP solution, since it takes care of all manufacturing business processes, starting from the job floor and ending with the accounting department, since it offers complete financial management functionality, such as cost accounting, enterprise financials and reporting, fixed assets and sales tax computation. In addition, it has its own CRM (Customer Relationship Management), Manufacturing Execution System (MES), and Supply Chain Management (SCM) functions, such as supplier quality and traceability. Plex is a perfect solution for manufacturing companies who are growing fast and want to avoid moving to a more advanced manufacturing production system as the company gets bigger. 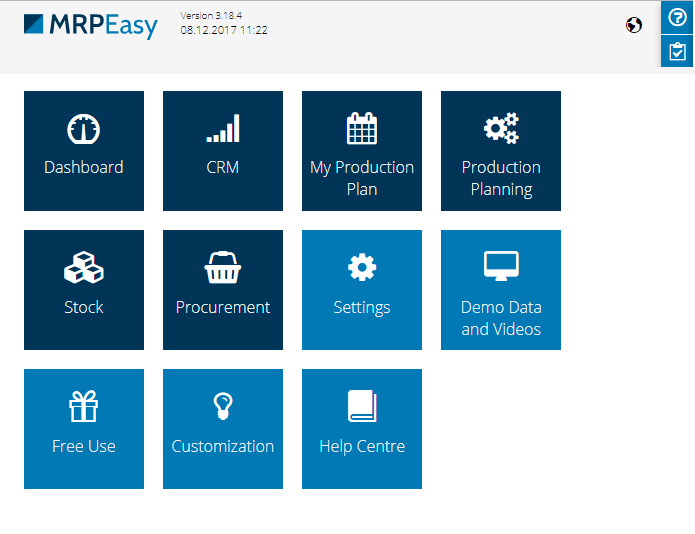 MRPEasy is Cloud-based manufacturing production software made with SMB’s in mind. Today, hundreds of manufacturing SMB’s rely on MRPEasy when it comes to managing production, inventory, sales and supply chain. A typical customer is a 11-300 person manufacturing company. Though there are companies that employ more than 300, and are successfully using MRPEasy to manage manufacturing and inventory, this is not where MRPEasy delivers the most value. 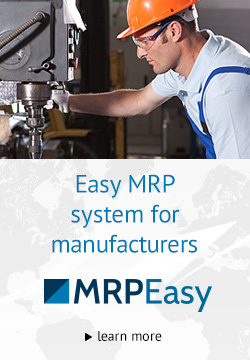 For manufacturers with more requirements, MRPEasy offers a more advanced functionality, such as serial number tracking, barcode scanning with your mobile device, maintenance management, customizations to fit your specific needs and much more. The price, starting from $39/user/month, with a free trial period from 7 to 36 days, imposes no barriers in obtaining and learning about the software system. 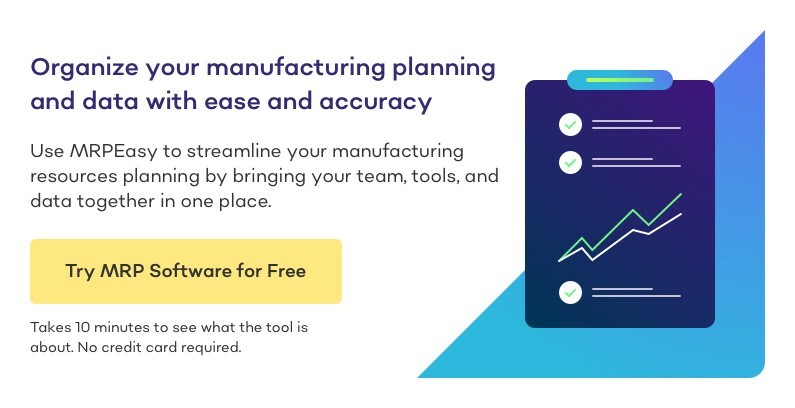 When selecting manufacturing production software for your small business, we highly recommend taking your time and trying out your chosen solutions carefully. Use simplified test tasks, since aligning business processes and entering/moving all your data, is a one-time, serious project. Besides, most MRP vendors in 2018 offer a free trial, which is a great way to evaluate the software without spending a dime. Read more about Manufacturing Software.